The Przewalskij Horse presented by Club Cavallo Italia, for you. The Przewalskij Horse it is certainly not one of the most beautiful races in the world but it is certainly very interesting. Of the primitive horses from which today’s horse breeds derive, the Wild Horse of Asia originating in western Mongolia (whose systematic name is Equus Caballus Przevalski Przevalski Poliakov) is the only survivor in its original form and represents the link between the first types of horses and the current races and is the only survivor of the primitive horses from which derive today’s breeds equine that you know and you will know here. In prehistoric times the Przewalskij Horse lived in the European and Central Asian Steppes, east of the 40th meridian that marked the demarcation of its habitat, and that of the Tarpan. It is the only true wild horse that actually belongs to a different species from the domestic horse. Now he lives protected in some zoos and plans to reintroduce some wild groups. The Russian colonel Przewalskij discovered him in 1881 in the Tachin Schara Nuru mountains and baptized that small herd of horses, so different from the horses you know, with his name. It is a rather small horse, courageous, energetic, independent, little treatable and lives up to 30 – 35 years. It has a sturdy build, is small in stature with the snout almost always floured and is almost white under the belly with a yellowish or reddish-yellow coat more or less clear, with a dorsal band while the mane, the tail, thick and long about 90 cm, and the extremities of the limbs are black. Before continuing reading our advice: subscribe to our newsletter here. We will respect your privacy, you will receive our newsletter on the horse and its elegance with our advice on the most elegant places in Italy and you will immediately receive a 10% welcome discount for your first purchase in our online shop. Thank you. It has a massive head, small ears and a showy mane made of thick hair, always erect and never falling, contrary to what happens in domestic horses, and nature has provided it with a sense of smell and hearing so developed that it can perceive smells and sounds at a great distance, qualities that are reminiscent of primitive horses. In addition to its characteristic shrill voice, the language of body of the Przewalskij Horse represents a clear and important way of communication because the mouth, the position of the ears and tail reflect his mood changes. The breeding season begins between April and May and, after a gestation of about a year, the female gives birth to a single foal, which is already able to stand on the legs just after one hour from birth, and the weaning lasts from 8 to 13 months. Today he still lives in the lands of origin in the wild, is grumpy and does not tolerate the presence of man. Over the years there have been no crossings with other horses, for example with those escaped from the farms, as the stallions are very aggressive and kill any other specimen trying to get closer to their territory. Today there are few specimens of this breed and the Mongolian government tries to preserve its existence even if it now seems to be more related to the two hundred species that are widespread in major zoos all over the world. Thanks for the visit and we look forward to it soon. Every Your visit is particularly welcome but before leaving our site discover our Leather Goods Collection, naturally dedicated to the horse, and who we are. 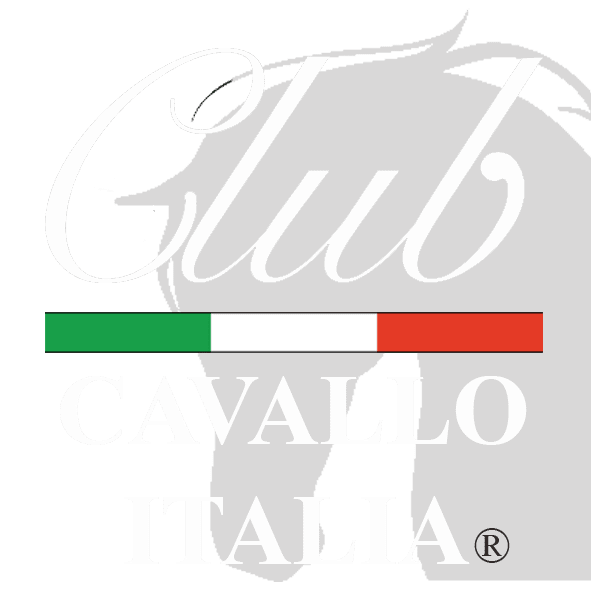 Just a moment, please: if you liked the Przewalskij Horse send the page link to those who will appreciate it, we will be very happy and if you want to write us: info@clubcavalloitalia.it We always answer. Thank you again.